There are very few things in this world capable of having a lasting impact on mankind. And one of those things is chocolate! I’m here to tell you how it can be good for you. But first: the basics. Just about all of chocolate’s handy helpful traits can be undone by the presence of milk. Essentially, milk gets in the way. 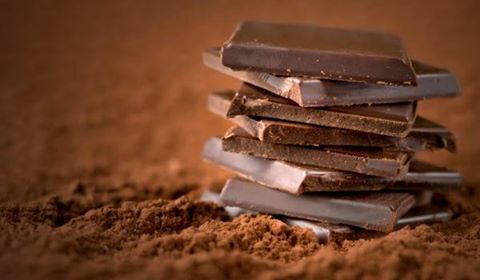 It creates a coating that prevents your body from absorbing chocolate’s hidden helpers, such as antioxidants. For this reason, dark chocolate is by far the best choice. Milk or white chocolate: forget about it! Dark is the way to go! There is also a high energy content in chocolate, be it dark or not. So as you increase your consumption, so to should you increase your activeness. That energy has to go somewhere, so try not to let it go to your hips. Turn it into productivity and power through your day. Remember that exercise is essential to your health, and can’t be supplemented in your diet. Moving is what we were made to do, so listen to Shia LaBeouf and JUST DO IT! Now, on to the good stuff. What good does chocolate do for our bodies? Chocolate helps blood flow around our bodies. When we break chocolate down it sends signals through our bodies to widen arteries, allowing the liquid to move more freely. This has proven to reduce mental fatigue, and improve concentration. And in the long-run, chocolate also helps to preserve our cognitive functions. Chocolate eaters also tend to become less prone to strokes, and more likely to survive a stroke if they have one. So that subconscious part of your brain that keeps picking up the chocolate and putting it in your mouth without you realising it had its own best interests at heart all along! There is also the fairly well-known benefit of chocolate improving your mood. Yes, that’s right. It has the ability to make you happy! Well, happier. This is likely why it is so many people’s go-to in stressful times. Sometime, you just need a little lift. And chocolate is there for that. Balance is everything when it comes to chocolate. A little does a lot, but a lot can be a whole lot worse! So manage your intake, increase your exercise, and be sure to include a range of other well-thought-out foods as well. And if you want the good without the bad, be sure to choose a dark chocolate.